The Gävle Goat is a 13-meter (42+ feet) tall straw structure that’s built in the center of Gävle, Sweden at Christmastime every year. What to Do with the Christmas Tree? Give It to the Goats! 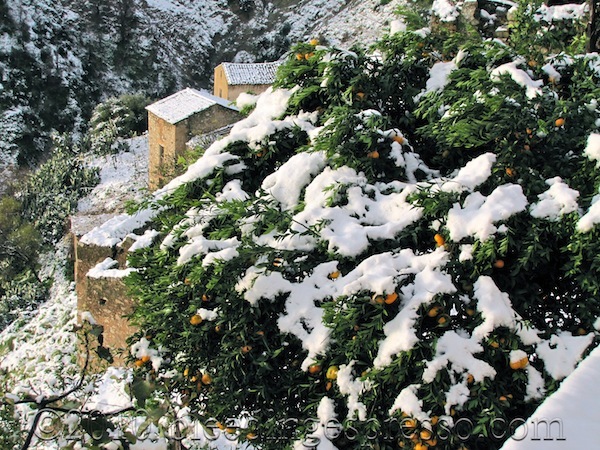 I’ve never had a live Christmas tree in my eight Christmastimes in southern Italy, so I never really thought about what to do with the tree once it’s taken down. 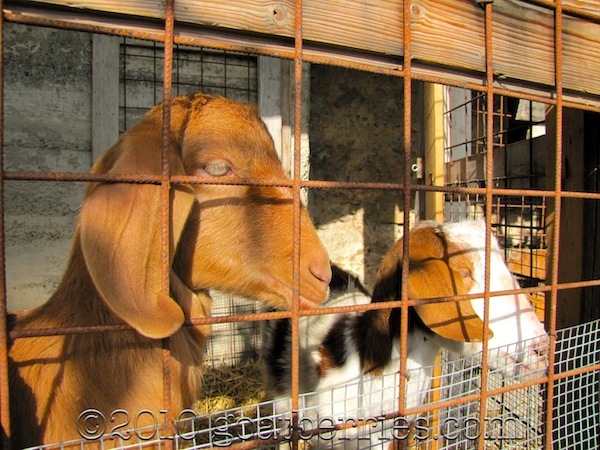 But the folks at New Moon Farm Goat Rescue & Sanctuary have an idea — give it to the goats! As noted on their Facebook page, they certainly don’t give their goats trees that are coated in any flocking or chemical flame retardant, but for your run of the mill tree that is just going to be discarded? 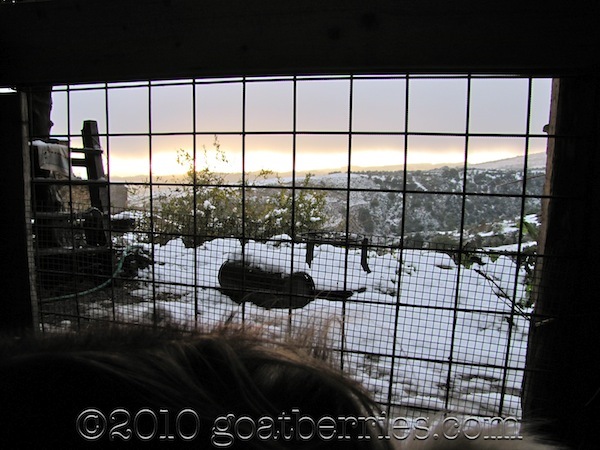 Why not consider donating it to an organization (or a friend) who keeps goats? This especially goes for those of you who run Christmas tree lots! 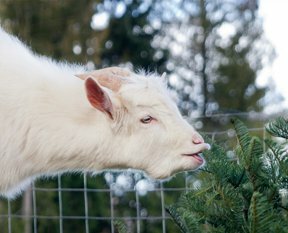 New Moon apparently has plenty of trees for their goats, but a quick Google search may help you find a local home for your discarded Christmas tree. Not every place may accept them, though, so be sure to ask before you just show up with your tree — you don’t want to have egg on your face in front of goats. Trust me. They can be ruthless. 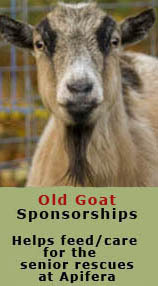 By the way, if you’re interested in helping out some goats, you can donate to the New Moon Farm Goat Rescue & Sanctuary any time, sponsor a goat, or even order up some goat gear to help support their efforts; I spent a good part of my Christmas morning making donations in the names of family members to New Moon Farm and also to the Puget Sound Goat Rescue, the Ohio SPCA Goat Rescue, and Il Rifugio degli Asinelli (a donkey refuge in Italy associated with The Donkey Sanctuary in the UK) — it sure made my Christmas a little brighter! Many of these places also have goats available for adoption as well, so if you know someone who might be interested, do pass along the info! Hope everyone is having a lovely holiday season full of love, joy, and only the finest hay! Well you’ve seen baby goats bouncing around to the tune of Jingle Bells, so you had to figure this wasn’t too far behind. 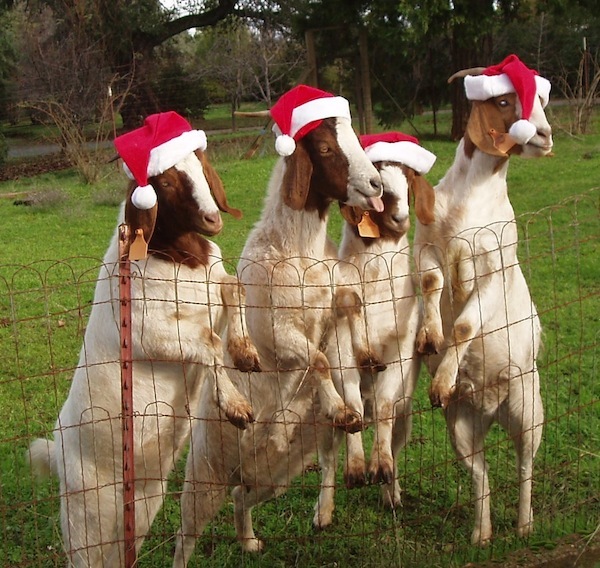 St. Helen’s Farm in Seaton Ross, England have started up a singing competition among their goats after workers realized that the goats produced more milk when listening to Mariah Carey’s All I Want for Christmas Is You. 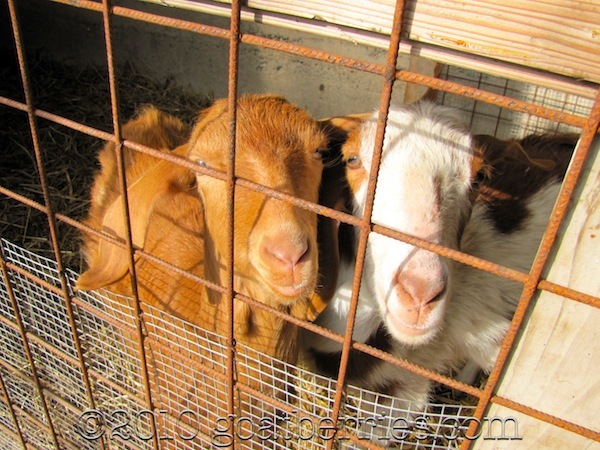 The three goats competing for top honors were Greta, Gertrude, and Gladys — with Greta coming out on top with over 50% of the online vote. Who do you think has the best, ahem, voice? 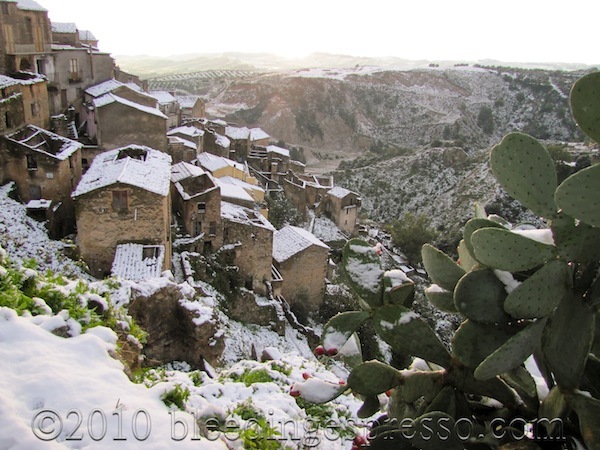 As some of you may know from my Facebook updates, we are currently experiencing a bit of SNOW here in southern Italy. 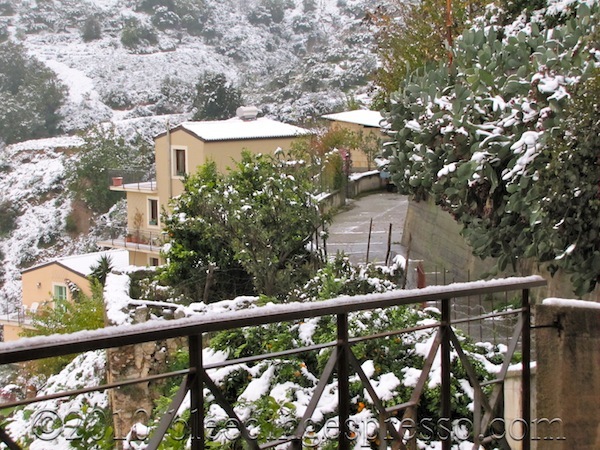 Although snow is par-for-the-winter-course in the deep mountains of Calabria (we have several ski resorts), it’s not nearly as common here in my village, which is about 250 meters above sea level and a 10-minute winding drive away from the Ionian Sea. 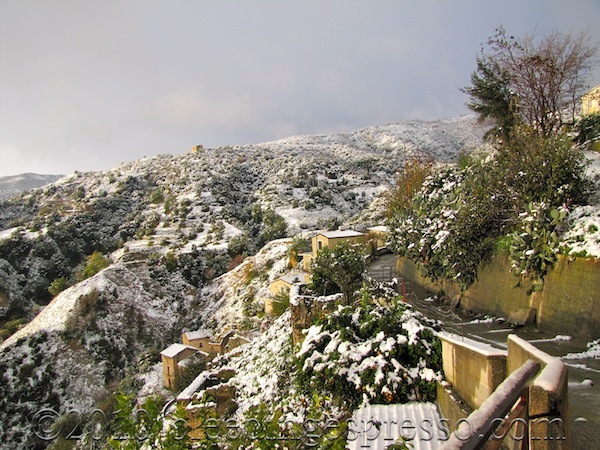 I’m in my eighth winter here, and this is maybe the third time I remember even a dusting in the village itself, so this is quite an exciting time for this girl who comes from the mountains of Pennsylvania. But what about the goats? This is the first time they’ve ever seen snow. Who the heck put this stuff out there? In fact, it normally doesn’t drop below freezing very often here, so I was a little worried about keeping them warm. Paolo assured me that they’ll be fine in their winter coats and *excellent* shelter he built, which is completely covered and protected from wind and moisture, but what can I say? 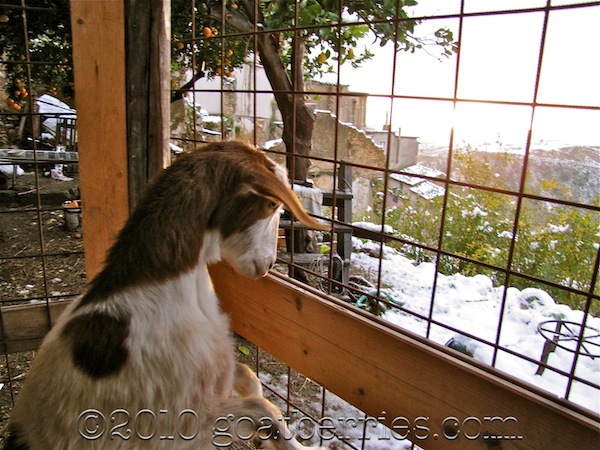 As you know, I’m a worrywart goat maaaa…. So I read up a bit and found out that it’s good to give them some warm water (or hot if you’re mixing with cold) so they’ll have a little treat — kind of like us coming inside for hot cocoa — and also plenty of great hay to keep their rumens working and their body heat flowing. Indeed when I checked on them this morning, they looked just fine, but I gave them some good rubdown kind of petties just to increase that blood flow all the more. You can never be too careful with the goaties. Which is why I’m about to head back over there with more warm water, fresh hay, and, of course, petties. OK, and maybe an old blanket or two…. P.S. 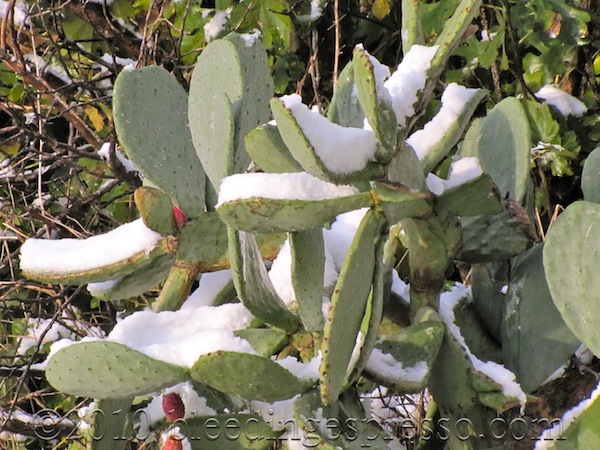 See more of my snowy pics over at Flickr. 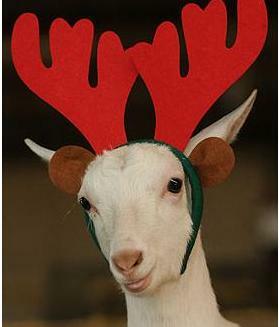 Check out this festive and OMG ADORABLE Christmas goat video from GiggleWithTheGoats.com. Faithful followers of Pasqualina may remember that by this time last year, she was already pregnant with (who we now know as) Pinta. This year Pasqualina is decidedly without kid — by our choice. And it really has more to do with Pinta than Pasqualina. 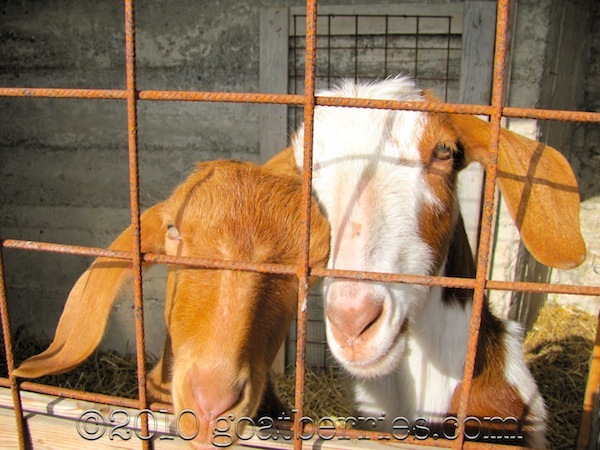 I like to call the general rule for mating a female goat as “8 and 80.” That is, when she reaches eight months old and 80 pounds, she can be safely bred. Pinta turned eight months old toward the end of November, which technically is still heat season, but I really don’t think she was up to 80 pounds. We didn’t weigh her, so I could be wrong, but she just *seems* quite a bit smaller than Pasqualina was when we bred her (Pasqualina was around nine months old). In any event, we just feel more comfortable waiting to breed her, so that’s what we’re going to do. We could have just bred Pasqualina, but that would have meant putting a (borrowed) buck in with Pasqualina and locking Pinta in another pen by herself to avoid any “accidents” with the buck. Yes, the pens are only separated by a see-through gate, but we figured not only would that be sad for Pinta, it would also be a little easier on us to have them both bred at the same time rather than staggered. So the next breeding season will come early next summer, and the kids should arrive in November if, as we hope, all goes well. 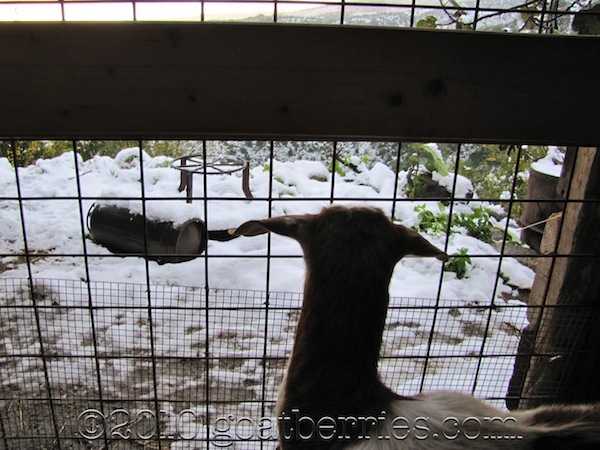 I’m already a little nervous about the weather being chilly for their delivery, although truth be told, daytime temps around here in November are usually still in the 70s — but there’s nothing like being a worrywart goat maaaa, right? Anyway, for now, we just have our two girls, and they seem OK with that, don’t you think?